There are several different reasons to the question "Why homeschool?" There is no correct reason nor is there a wrong reason to homeschool. Choosing to homeschool your child is a decision the parents must make together. WHY HOMESCHOOL? The following Top 10+ Reasons to Homeschool come from parents that I personally know homeschool and why they decided to do so. I have also included some excellent homeschool sites you will find helpful. I have investigated all of these sites. Each one offers something different. Each site has a wealth of knowledge from experienced homeschool parents. After checking out these sites, please go the YOU'RE INVITED page and let me know which ones were helpful. UNIT STUDIES - Homeschooling allows a theme or unit emphasis across the curriculum. For instance instead of learning about early civilization in history and reading about the Civil War in the literature book, unit or theme studies concentrate on one concept at a time. Why is this important? Background knowledge - is important for comprehension. If new information is introduced to a child and is not reviewed or studied for an extended time, then most children won’t remember the important information later when needed when integrating new knowledge. HOWEVER, when using a theme or unit study across the curriculum, the child sees the new information, it is consistent and everything flows together smoothly. For a learning disabled child, this consistency of information is vital. He will be able to focus better. This reason alone is enough to answer the question, "Why Homeschool?" In fact, learning is less stressful because he is not having to memorize to many different things. For instance, he can see the relationship between a nation and why it has a flag and what the flag means. CLASSICAL TEACHING - is another style of teaching. For a complete definition of classical teaching, see The Home School Momwebsite. Moore Homeschool promotes homeschooling using the classical method that homeschooling pioneers Raymond and Dorothy Moore established. Here is a quote from the site, "At Moore Homeschool we are preparing parents for successful children. Come visit us and read the first chapter of Raymond and Dorothy Moore's Classics. Homeschool allows parents to teach to the student’s needs not "TEACHING TO THE TEST"! In other words, parents as teachers can teach at the child’s learning pace. If she needs 2nd grade math but 4th grade reading, then this can be arranged. This flexibility is usually not available in the private or public school. Who knows your child’s strengths and weaknesses better than you? You can teach to your daughter’s strengths while at the same time enhance your daughter’s weaknesses without frustrating her. Homeschool Living.com - A Catholic Mother of five offers practical knowledge and encouragement gleaned from 21 years of experience. Find how to support the "book learning" with a joyful, wholesome lifestyle, crucial for children to succeed. Topics include the four temperaments, discipline, literature, order, electives, holiday and support group activities and simple ideas for everyday fun. I call this type of intervention Directed Intervention because as a parent you find what works with your child and direct or facilitate the intervention. Watch this video and find out what one family discovered that help their child. This 6-year-old girl with autism and her therapy cat have a magical friendship! Schools go on one or two field trips a year. But what learning is going on? Most field trips are to places students go to with their families; the zoo, the farm, and the pumpkin patch. As a homeschool parent/teacher you can arrange for your child to visit some place that would be meaningful to him. A field trip to the local mechanics shop for the day would be perfect for the boy who loves to tinker with his bike but hates math. Why there? Wrench sizes are determined by the diameter of the head of a bolt it fits; 3/16, 1/8, 5/16 etc. Understanding fractions just became easier because now he understands why he needs to know fractions. The question, "Why Homeschool?" was just answered. You can make schooling fun again! Inside Homeschooling.com - The reality of homeschooling from a parent's viewpoint - the good, the bad, and the unexpected. A homeschool mom shares the pros and cons, how to get started, curriculum resources, and socialization opportunities. Also learn how to navigate the world of high school as the family shares their experiences and advice with you. A child who is not only learning disabled but perhaps has a physical disability as well, may be better off being homeschooled because more intense teaching could be accomplished. Also, the teaching would be more focused on what specific needs this child requires. NOTE: I have substituted in the resources rooms of many schools. Most of these classrooms had one para to each child. This para would shadow the child all day long. If the child was severely disabled, the resource room was his home room. The disabled child was only main streamed for music and PE. I didn’t see much teaching going on in these classrooms. I saw lots of non-educational games being played. However, the majority of the time, the child colored pictures, or played by himself. WHY HOMESCHOOL? Some children just don’t do well in a group. Others have a conflict with the teacher or another student who may be a bully. Even though we need to teach our children to persevere, we also need to be aware of what is best for them. If they are a shy and avoids confronting someone then homeschooling may be best for them, especially in the early years. A child who has problems focusing or sitting still, needs to have more activity time. This involves changing teaching modes more often. For instance reading may be scheduled for 1 hour a day. For a child that has ADD/ADHD it is a good idea to break this into 10 minute slots with learning activities in between. This type of teaching doesn’t occur in a group/classroom setting. Homeschool Life Situations.com - Where you will find encouragement and practical tips for homeschooling children who struggle with learning. A child that is on medication for ADD/ADHD or depression may have difficulty sleeping at night. Both the parents and the child are becoming frustrated and cranky for lack of sleep. Homeschooling would allow the child to sleep when she could, maybe until noon. She then would be better able to focus and not fall asleep during a lesson. Homeschool allows flexibility. The homeschool father may be someone who owns his own business which takes him out of state for long periods of time. The family would be able to travel to be with him and not miss any school. The benefit of this is that the homeschool child/ren learn first hand about business. As the child gets older, the dad can even involve the child/ren in his business. Homeschooling Family.com - Do you have big dreams for your kids? Do you want them to excel not only academically, but also to become great men and women of character? At Homeschooling-Family you can learn with a real family who is currently homeschooling. They want to come along side you and encourage you to be all that God is calling you to be. Many homeschool families have elected to teach at home because of religious purposes. They want their children to have a strong Biblical foundation. These families may not be able to afford a private Christian school or agree with the doctrine of the school in their area. Homeschool Faith and Family Life - This site is chocked full of ideas to make life for the homeschool mom easier. She has tips on how to stay healthy and how to handle homeschooling with a new baby. Judy incorporates her strong faith in God as the Heart of her homeschool. A child who has missed a fair amount of school due to an illness may need to be homeschooled in order to “catch up” to his peers. The other option may be to retain them the following year. Common Core Standards have been adopted in most states. There are some good aspects to these standards but there are also some intrusive aspects which include data gathering that you may not want to be a part of. There are several more web sites that you might find valuable. But to decrease spam, you need to register for a password for HOMESCHOOL RESOURCES WEBSITES. Just fill out the form below and a password will be sent to your e-mail within a few minutes. Little Passports is a great way to teach your children about the world without taking a trip! 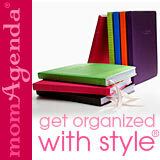 Moms Agenda organizers, calendars, journals and more which was created FOR moms BY a mom. AUDIBLE IS A GREAT WAY TO GET YOUR CHILDREN LISTENING TO BOOKS WHEN THEY WON'T READ THEM! Make money at home while being a virtual music teacher.